A British Caledonian Vickers VC10 departs London Gatwick on another scheduled service. A British Caledonian Vickers V.C.10 departs London Gatwick on another scheduled service. 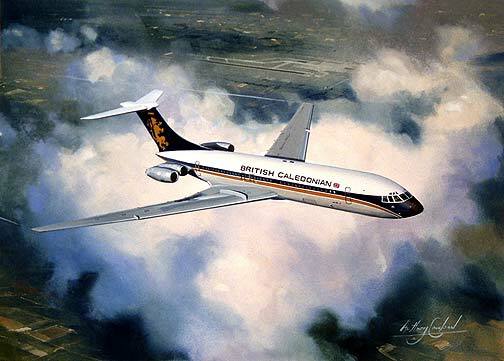 This Vickers design is one of the cleanest and most beautiful airliners of its generation. Released as a limited edition of just 250 this fine art print is by the artist Anthony Cowland G.Av.A.